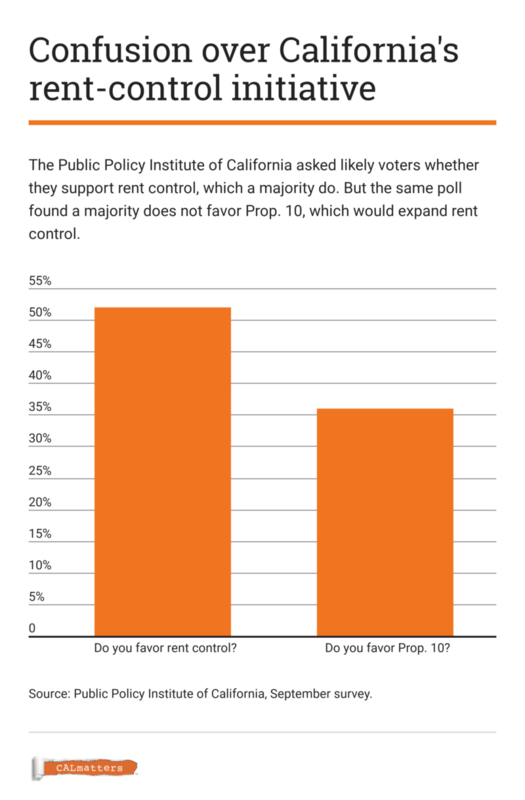 Here’s a further breakdown, including what lies ahead for the rent control movement. It’s not all about the money. In some corners of the rent control movement, supporters argue that the polls don’t consider the possibility of a “blue wave” bigger than predicted, one including many left-leaning renters or Democrats sympathetic to the cause. They say national polls weren’t accurate in the 2016 presidential election—why should we assume they’re right today? 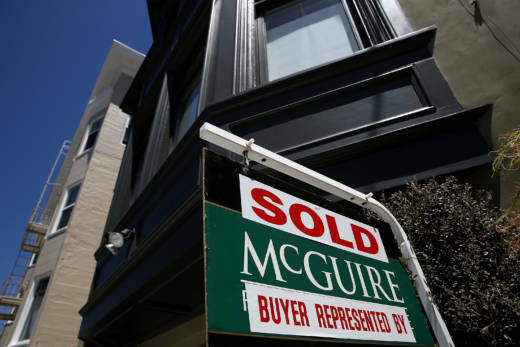 “Because this repeals existing law and has the word repeal, there was a lot of confusion....Was this repealing rent control or was this actually rent control?” said Joe Trippi, a media consultant for Yes on 10 and a veteran of many high-profile campaigns. “We did hope we would raise more money,” Schur said. Backers of Prop. 10 say that even if the initiative loses, they’ve organized and strengthened a social movement that will continue to push the rent control issue forward. And that might come as soon as 2020. 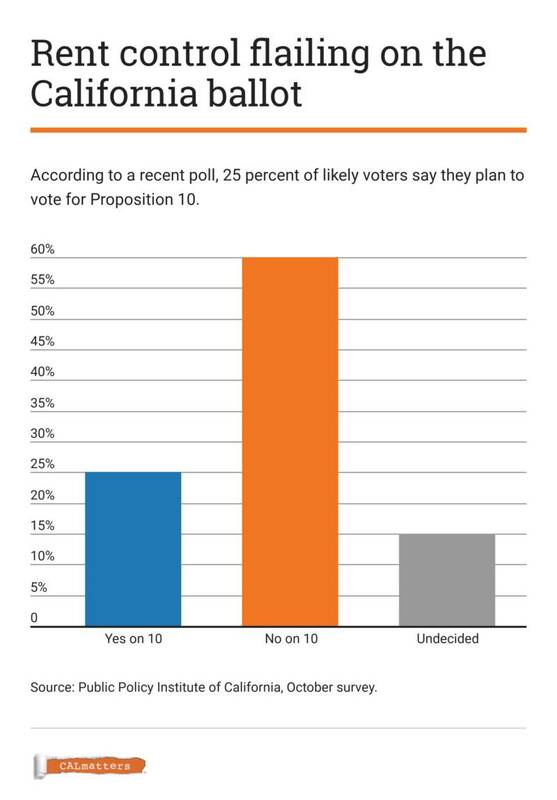 “If we’re not successful on Tuesday, legitimate conversations are going to take place around this state...about whether statewide rent control on the 2020 ballot is appropriate,” said the Yes side’s Goodmon. 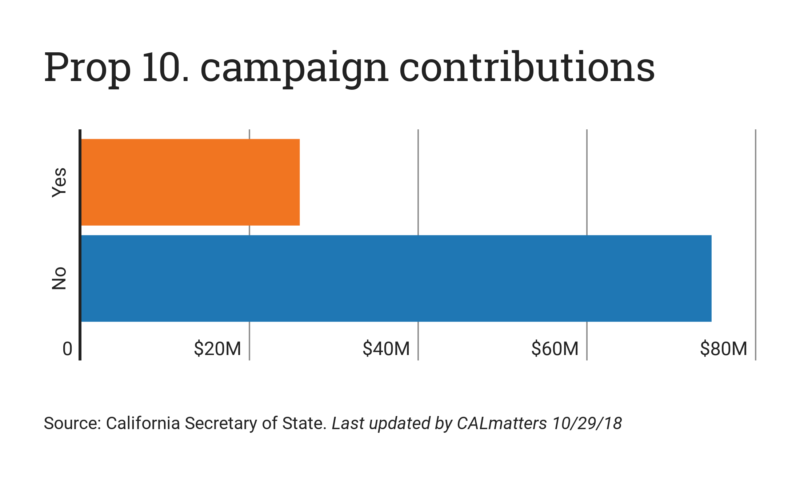 That’s powerful leverage for any future negotiations on the issue--negotiations that Democratic gubernatorial front-runner Gavin Newsom has pledged to facilitate if he’s elected governor.